Tuesday, June 19, 2012, my parents celebrate their 41st wedding anniversary. They met when she was temping at the Milwaukee office where he worked. They dated for a few years and were married in 1971. I came along about 2 years later. 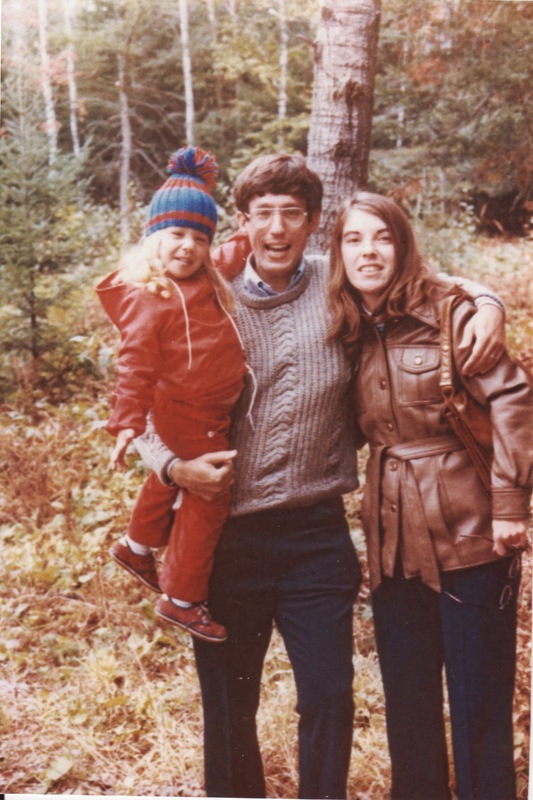 Me, my dad and my mom in the 1970s. Since then I’ve seen enough good and bad marriages to know that theirs falls firmly in the former category. Despite their differences, they complement each other, make each other better people than they would be without the other. We joke that they’ve become symbiotic over the years, two living beings incapable of not living as one entity. They hold hands when they walk and share silly inside jokes that no one else gets. He’s already bought her a huge beautiful bouquet of fresh flowers for their special day, and she is planning to grill steaks for dinner. A simple celebration this year, but last year, number 40, they took a cruise to Hawaii. As their only child, I was the special guest. Because it’s just the three of us, we spend every holiday–anniversary, Father’s Day, Mother’s Day, birthday, etc., together. This year I find myself without the means to take them to an extravagant restaurant meal or send them to a bed-and-breakfast for a weekend or treat them to a a musical in Chicago. All I can give is my love, which has always been enough for them. Sometimes it doesn’t feel like I can possibly repay their love, their care, the way my mom still sends me home with food and my dad still helps with my investments. So I thought I’d tell the world, not just them, that they are the best parents in the world. Congratulations to Mom & Dad on 41 years of love and companionship; showing the rest of us how to be partners, parents and a family; and making it look easy. Awesome tribute Kim! You look so much like your mom but your smile is all your dads! Happy Anniversary to the Sweets! What a beautiful gift to your parents! I’m sure this means more to them than any gift you could ever buy. Very sweet and heartfelt tribute Kim. I know this means more to them than any gift. You are a very special lady yourself and I know they are very proud of you too. Beautiful tribute to your mom and dad! I would say they are equally blessed!